May studied Teacher Training in a catholic university in Alcalá (Madrid) and also got training as Leader and Director of Free Time Activities. Worked as a volunteer teaching children for the Catholic Holy First Communion, as well as in Caritas, in the Boy-Scouts of Spain and Venezuela, in a Catholic Mission in Mexico, for a NGO for Street Children in Oaxaca-Mexico, a NGO for Indigenous People in Ayutla-Mexico and with Mother Theresa in Calcutta-India. She worked in a Farm School in Alcalá, as Leader, Director and Administrator for the summer school of an International School, and in different schools as school teacher and with very small children in a Crèche in London. Teaching later for adults in Japan and England. She learnt different massages in Thailand, India, Japan, England and Spain, and lived basically in India for 12 years attending philosophy and spiritual teachings and seminars, doing spiritual retreats in India and Nepal, at the same time that learnt and shared with shamans in those countries and in Latin-America and Philippines. She learnt Tibetan Medicine with a teacher of Ment-See-Khan in Dharamsala, Reiki in Nepal, Tarot Card Reading in Guatemala, ESP Development (Extra Sensory Perception) with Jaime Licauco in the Philippines and Intuition with teachers from different countries. 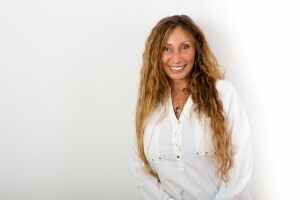 She gave lectures and seminars in different themes like Energy Work, Aura Reading, Healing (Crystal, Energy, Past lives, Tibetan), Intuition and Shamanism, in Barcelona (Spain), and gave a talk in the radio. Currently she is working in Germany giving massages and as Lebensberater, Psychologischer Berater (TMI), Hypnotiseurin (TMI), and does tarot cards readings and clairvoyance. First I just wrote as memories where coming into my mind. Then I was adding more things as I was reading it and remembering more things. Of course, then I had to polish it, take away things which are not important for the readers and try to improve in the style. I gave it to someone to review it and improve it grammatically. It will come out of your hands things you didn´t know they are in your mind. As beginners we have no other chance but to self-publish, as nobody knows who we are. The hard part is not to write the book, but to promote it.